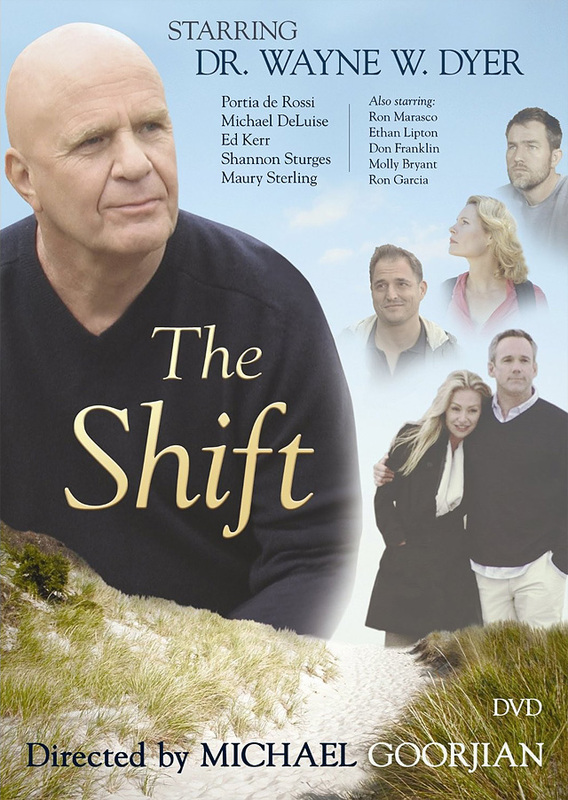 I've just been watching the movie "The Shift" (2009) by Dr. Wayne Dyer for the third time, and it still leaves me with a deep sense of peace and freedom. You can watch "The Shift" for free here (video link) or get your own copy. The concepts in this movie that really empower me are the things Dyer says about surrendering, being of service and connecting to a higher energy or Source and just let it work through you. In the movie we get to follow the frustrated film director trying to make a name for himself and his film crew filming and interviewing Dr. Wayne Dyer, the busy and overworked wife and mother of two seeking her own expression in the world, the rather self-absorbing businessman and his wife and a few people who are living on purpose and already have made the shift. They will all be deeply touched and transformed during their stay at the beautiful Asilomar Conference Grounds on the Monterey Peninsula, California, USA. Throghout the movie, Dyer talks about two phases in life, the morning and afternoon of life. How we since childhood have the false belief that more is better and that we early start to identify ourselves with our possessions and with what we do and have achieved. The Shift is highlighting the different sides of the Ego and how to go from ambition to meaning. This is a lovely movie that I heartily do recommend. Apart from the important message the movie conveys, it also brings you a wonderful scenery from Asilomar. Image credit: via Watkins Books.